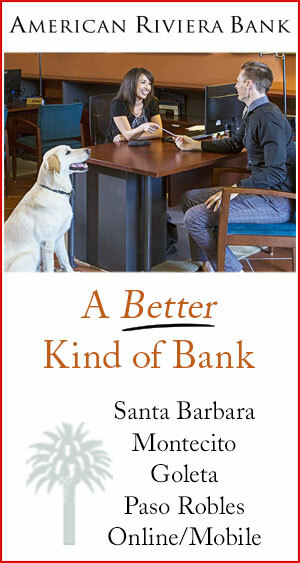 “LOVED” was splashed across the front of her dress in sequins. 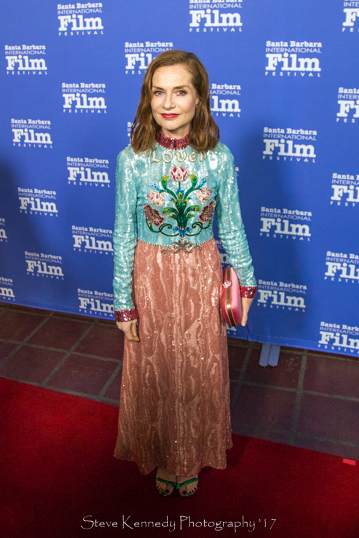 To say she dazzled the red carpet would be a fitting description of Isabelle Huppert’s entrance Wednesday night to receive the Montecito Award. 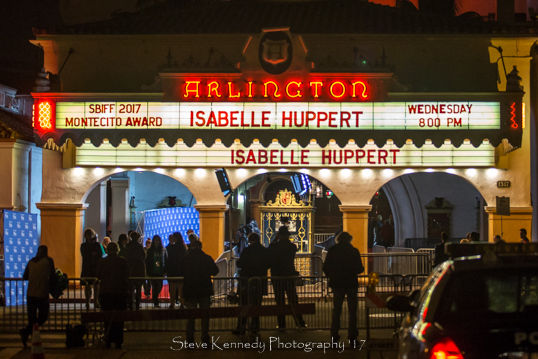 Huppert’s list of awards extends long this year. She has received the Golden Globe Award for best actress and has been recognized with accolades from film critics and festivals around the globe. Her intense role in the drama-thriller Elle has also produced her an Oscar nomination for best actress. The entire film world is watching this fearless, enigmatic star. 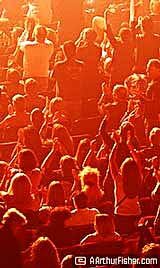 The stage and screen are far from new to Isabelle. Her acting career began as a child and she has now surpassed one hundred films—yes, over one hundred films she has played a role in! 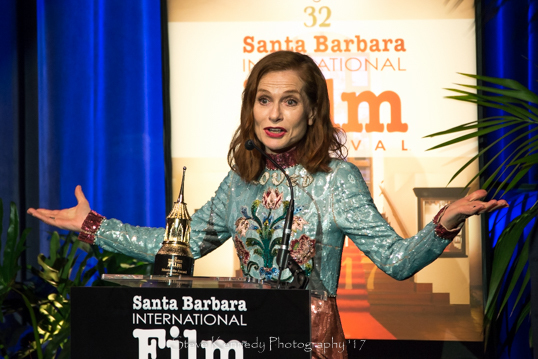 Huppert was coined the ‘Meryl Streep of France’ from IndieWire editor and moderator Anne Thompson in her introduction to the night. 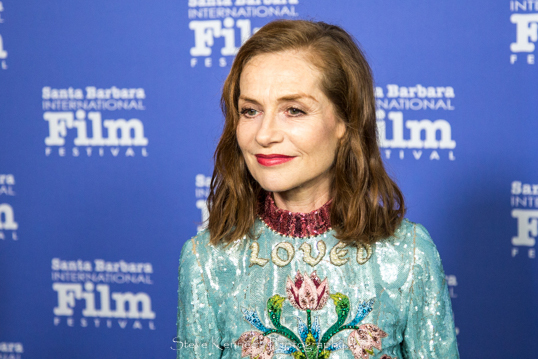 Huppert’s tribute montage allowed the audience to see snips of her work that spanned across 39 years of acting; it brought the crowd to their first of many standing ovations. 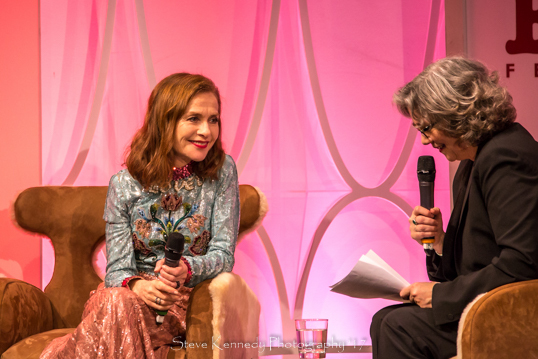 Thompson prompted Huppert to share some of her memories from her decades of filmmaking and we all watched as Huppert radiated with grace and dignity throughout her interview. 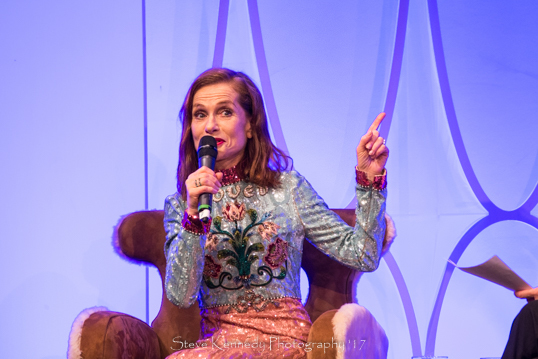 Isabelle made one thing clear, after being asked about her craft, she explained that to her, acting is much more than acting: “I don’t prepare for a role. 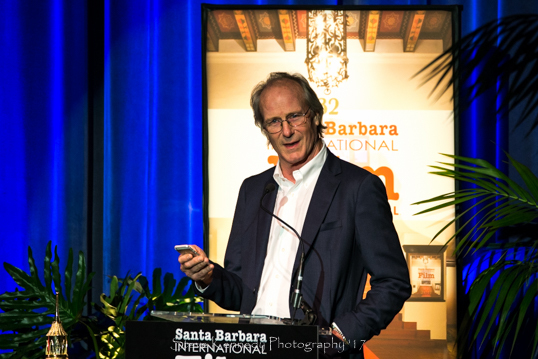 Something grows within me and it becomes real.” This natural, effortless way of mastering her performance was highlighted by William Hurt as he presented Isabelle with the Montecito Award at the end of the interview. 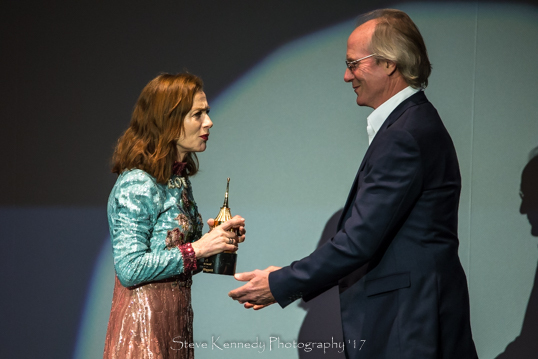 Hurt said, “For a person that doesn’t think, you are very smart.” This brought a smile to Isabelle’s face as she modestly accepted the award and made it clear that this night would never be forgotten.